The white stone work adorned with one red bead within the centre and red teardrop hanging at the bottom of the earrings build them really distinctive and exquisite. This pair of fashion earrings has been set on a brass metal base – overlaid with a film of micro gold. 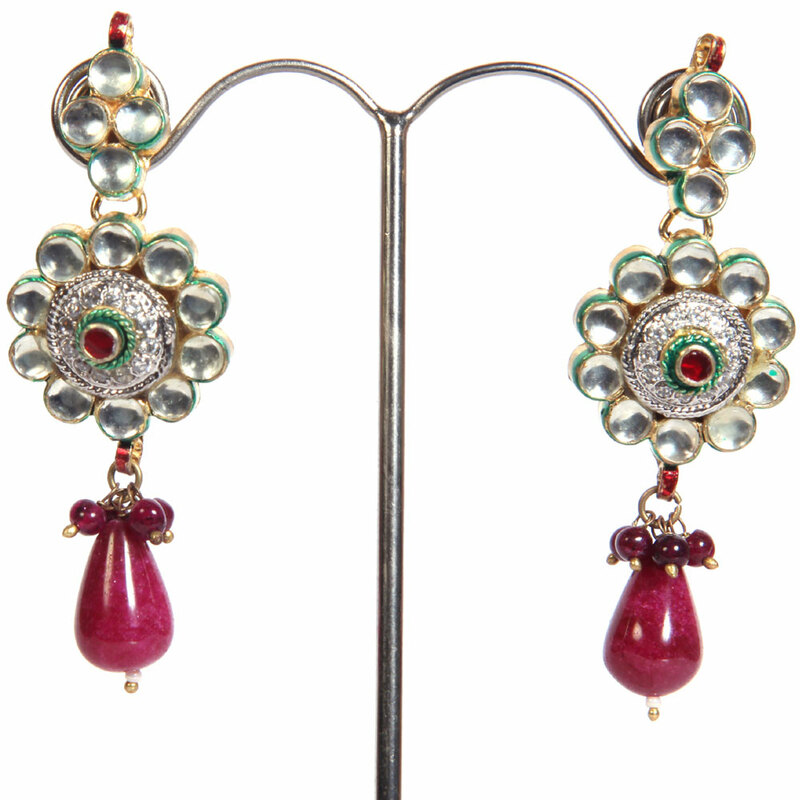 The white stone work Read More..adorned with a single red bead in the centre and red teardrop hanging at the base of the earrings make them truly unique and exquisite. Show Less..